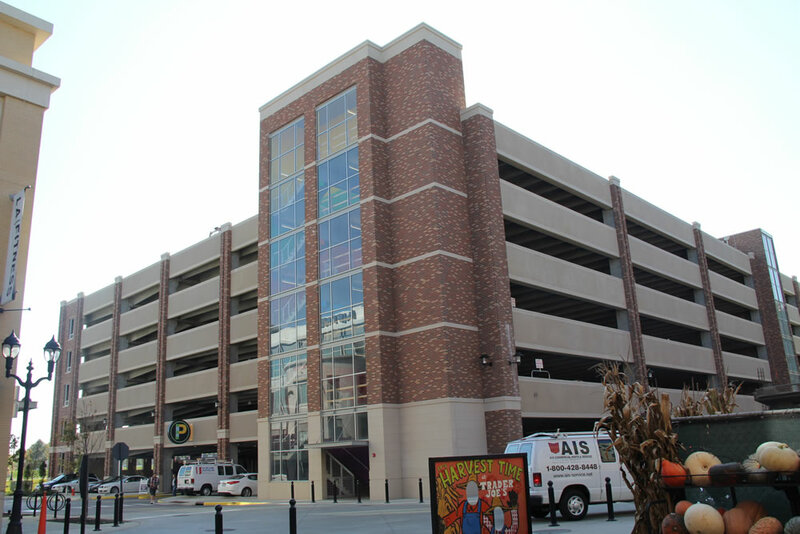 Four independent multi-level parking garages in a mixed use development. 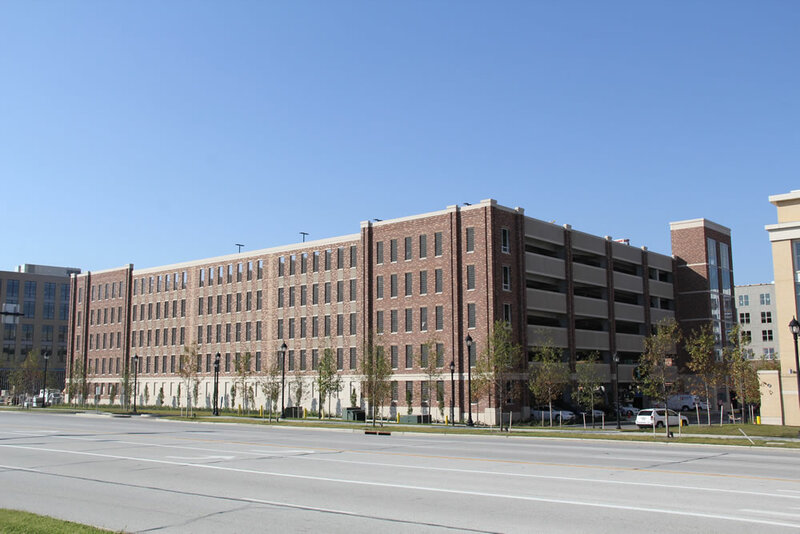 The garages serve retail tenants, residential buildings and provide dedicated parking for a 600,000 square foot corporate headquarters building. There were four garages totaling slightly more than 1 million square feet with space for more than 3,000 cars. 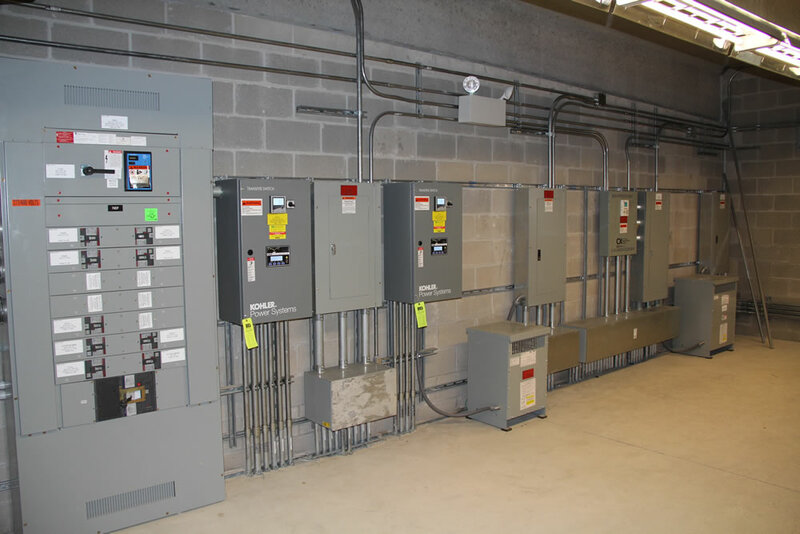 Mechanical, electrical and plumbing system design for all garages. Electrical systems included lighting, power, emergency generators with on-site fuel storage and raceways for security and CCTV systems. Plumbing design included deck drains, rain conductors domestic water systems, which have provisions for winterization. Mechanical design included air conditioning for elevator equipment rooms and smoke venting for elevator shafts. The lighting system design incorporated LED fixtures to provide even illumination levels, which were required to be twice the minimum code value by the project developer. Fixtures use on-board controls to adjust levels based on daylight, and drop to lower levels when the parking garage is unused. The fixtures return to full brightness when occupancy sensors sense arrival of residents or late night shoppers. Emergency power is provided by diesel-fueled generators with sub-base fuel tanks and sound attenuating enclosures to reduce noise transmission to residential areas. Lighting and emergency power systems were designed to minimize disruption to residential areas of the project. There are townhomes adjacent to the parking structures and the project also bordered mature neighborhoods. Lighting and noise producing equipment were carefully selected and coordinated to reduce/eliminate impact on all surrounding areas. The garages were partially financed by a city bond issue, requiring design coordination with the city of Westlake.